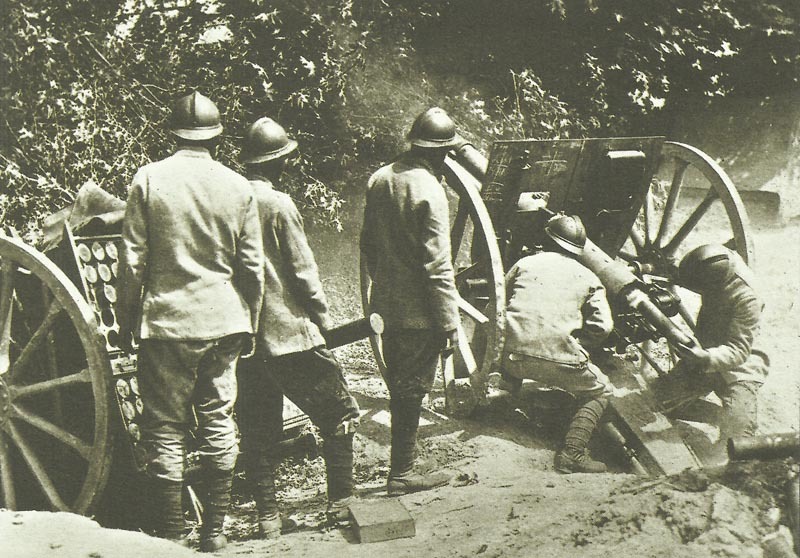 Serbian artillery in action at the front in Macedonia. Macedonia: Serbs begin to move to take over 60 miles of front west of river Vardar. Sarrail told to be ready to attack on August 1 in combination with Russo­-Rumanian thrust south of Danube. Battle of the Somme: British capture Waterlot Farm east of Longueval; Ovillers cleared of Germans by 48th Division. Romania: Draft Russo-Rumanian treaty sent to Bucharest, envisages August 7 war entry. Britain: Munition workers pay rates fixed, 4 1/2 d per hour for over 18 years old.